When I was little, any time I had to go to an Indian party/function, I always knew that if I didn’t like the food, I could always fill up on Naan. It was my favorite bread and it is a staple in Indian restaurants and Indian parties. It isn’t just like any bread. The addition of yogurt gives this bread a tangy taste. 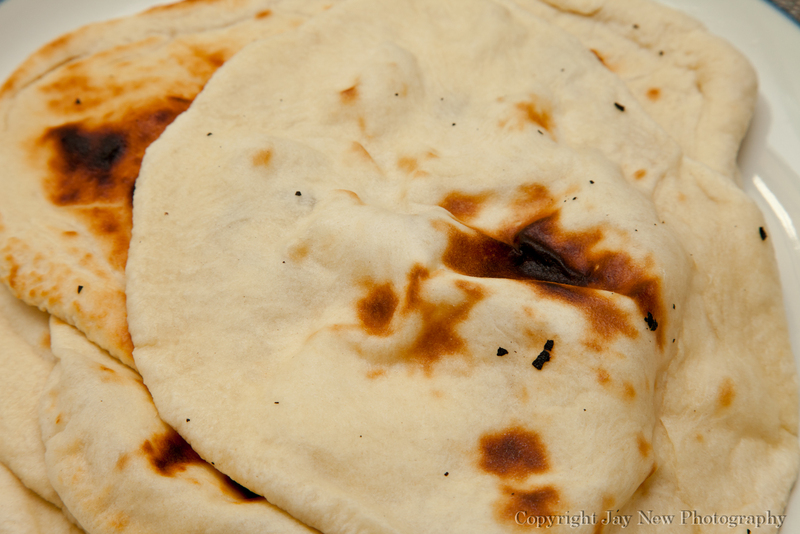 This flatbread is normally made in a special Tandoor oven (Cylindrical clay oven). I have always told myself, that I will master this bread (despite the lack of Tandoor). Today, I decided to cook Indian Butter Chicken and Mint-Zucchini Raita, what better excuse to practice my naan making skills. The best part, I have found that today’s attempt was my best ever. Combine all ingredients together and knead until dough is soft. Do you think this would work with rice flour to make the recipe gluten free? I got your comment while I was out running errands and I bought some yogurt to try it 🙂 Will post with the results! Just finished dinner and I wanted to share the results of the experiment. 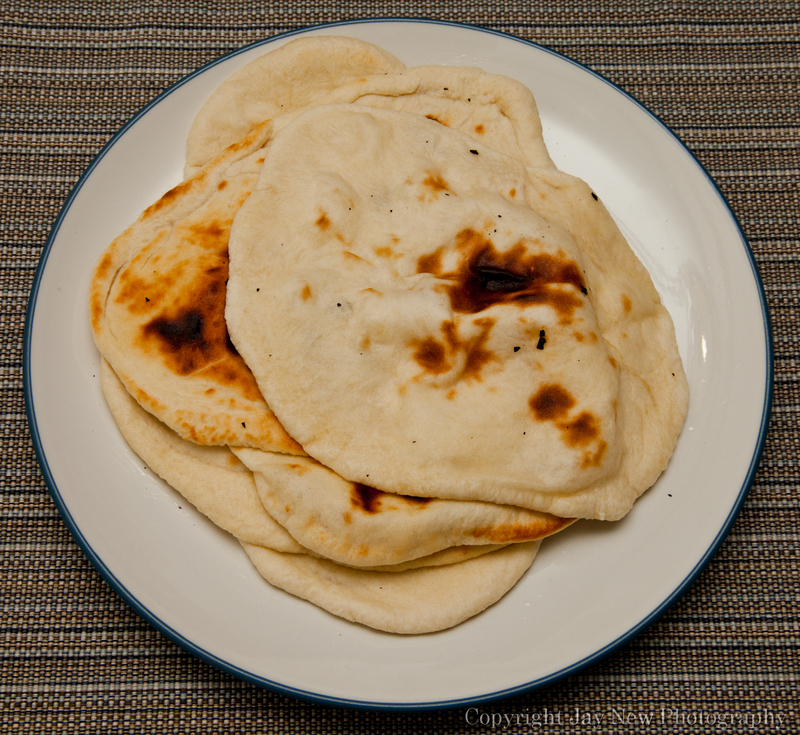 I used the exact recipe in this post to make the naan, omitting flour and using white rice flour. This is a picture of the results: https://saminacooks.files.wordpress.com/2012/10/20121024_165436-e1351121244294.jpg From what I understand, using white rice flour, tends to have a grainy texture. I found this to be true. It is recommended mixing Brown Rice Flour, along with the White Rice Flour, to reduce that texture. 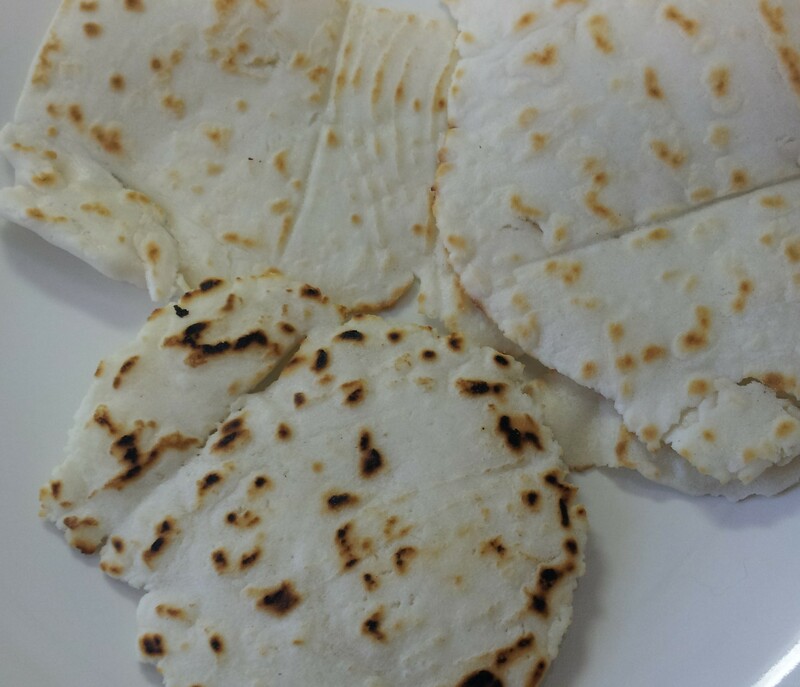 What I found with using white rice flour: It tastes like a cross between a tortilla and naan. You have to be careful not to mix too much water, or you will not be able to form a dough. The dough will be crumbly (I could not bake this as I do the naan, but rather on a very hot frying pan. I took a ball of the dough and placed it between two pieces of parchment paper (The dough is very delicate and until cooked, will not hold) I made these as thin as possibly without ripping and cooked them on both sides and brushed them with butter. It stays soft and were pretty tasty. This is worth experimenting further. Good luck and let me know your methods and results! Happy Cooking! Thank you! I will give this a try this weekend! Made this a few nights ago. Very tasty, but when I made the dough, it was very wet and needed probably 1/4 to a 1/2 cup more flour. I used a flat cast iron skillet instead of a baking pan. With practice, I can see this being absolutely amazing, as it was, I really needed to roll the dough out thinner. Looking forward to trying it again soon! So glad you tried it and thank you for the feedback! Thank you! I am glad you enjoyed them!